So, are your parking reforms doing the right thing? Or are they just doing the wrong thing a little "better"? We can see these alternatives in two North American cities' contrasting efforts to tackle excessive minimum parking minimums. One is sticking with the old On-Site-Parking mindset but applying it a little more carefully. The other has taken a large leap towards a more promising parking-policy mindset: Walkable Parking thinking. I hear via Todd Litman that Victoria (in British Columbia, Canada) is talking about reducing some of its off-street minimum parking requirements. It is studying how to keep doing the wrong thing slightly less wrongly. A review of off-street parking is being conducted to align the regulations with actual demand, current trends and community objectives. The study included new assessments of local parking demand. It also compared Victoria's parking standards with 'comparable' communities elsewhere in Canada. The resulting draft proposal calls for modest reductions to some of the parking minimums. It also provides for more geographical differentiation of parking regulations based on location or context based on the areas shown in the map below. City of Victoria 2016. Review of Zoning Regulation Bylaw Off-Street Parking Requirements (Schedule C). Working Paper Number 5, Preliminary Recommendations. Victoria is trying to right-size its parking minimums and make them match each context more precisely. These proposals are attacking the "excessive" part of "excessive parking minimums" but not parking minimums themselves. But right-sized parking minimums still do the wrong thing! Right-sizing is better than doing nothing. Parking minimums that better match existing observed demand in each context are better than excessive parking minimums, of course. But even right-sized parking minimums still try to do the impossible and make long-term predictions of parking demand. They still force that amount of parking to be provided on-site with each real-estate development. Right-sizing tries to make the demand prediction more accurate. But it is still foolish to think we can predict parking demand for every development site far into the future. This is especially obvious now as urban mobility patterns seem very likely to change radically within the useful life of new buildings. Victoria's review of its parking minimums is tinkering. It fails to even hint at a challenge to the idea of parking minimums and to the mindset behind them. Buffalo (in upstate New York, USA) recently got a lot of attention for becoming the first USA city to ABOLISH its minimum parking requirements. This is a large step towards doing the right thing. “There are no provisions that establish a minimum number of off-street parking spaces for development." That may sound radical. And in some ways it is but possibly not in the ways you think. 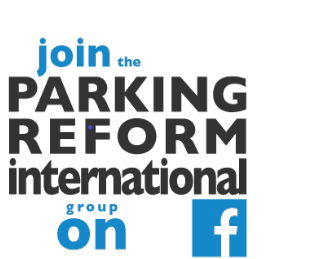 It is not radical because of any short-term impact on parking supply. Even if the city was totally abolishing its ability to require on-site parking the short-term impact on parking supply would be modest. Many developers would keep building parking whenever they see the need, as they do in London for example. And development is a slow process. So any change in parking supply would be gradual. 1. 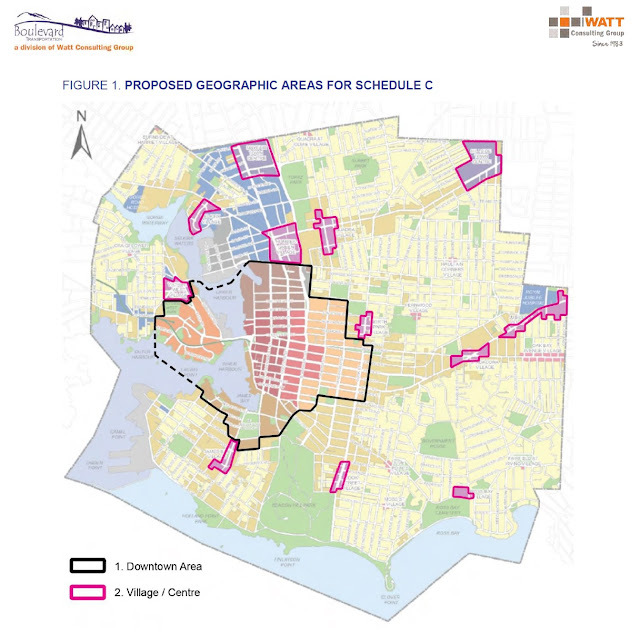 The project includes performance objectives to minimize single-occupancy vehicle trips and maximize the utilization of transportation alternatives to the extent practicable, taking into account the opportunities and constraints of the site and the nature of the development. So is Buffalo really doing the right thing then? Perhaps it is not quite there yet. It would be better if Buffalo would totally refrain from ever requiring parking. And I wish the Green Code spelled out explicitly what it means by "an unreasonable burden on public infrastructure". And Buffalo's reform will also work better if it ALSO adopts other complementary policies from the Shoupista or Adaptive Parking playbook, including boosting on-street parking management. I wonder if Buffalo does have any such plans? Buffalo's parking policies are now on a much more promising trajectory now than Victoria's. A key stated aim of Buffalo's Green Code is to revitalize development in the city. And a key goal of the parking changes is to stop letting parking minimums hinder developments and redevelopments. This revitalization goal suggests that city will probably NOT let the TDM plans (with their ability to require parking) be used as parking minimums in disguise (at least not by the current elected officials). So developers should no longer face the time-consuming and costly process of seeking parking variances. Buffalo has indeed swept away the complicated apparatus of parking minimums, with their different standards for every land use category. Notice too that many developments are exempt even from the possibility of required parking under the TDM plans provision. For new construction, buildings of less than 5,000 square feet (465 square metres) are exempt. For substantial renovation a TDM plan is required only if the gross floor area is at least 50,000 square feet (4,645 square metres) AND there is a change of use. A TDM plan is not required for single unit dwellings nor for double-unit dwellings. And TDM plans are never required for ANY project in areas zoned D-IL (Light Industrial), D-IH (Heavy Industrial) or D-C (Flex-Commercial, which are general commercial and mixed-use areas, which typically benefit from flexible form standards and are separate from, but within close proximity to, residential neighborhoods). It is also clear that Buffalo's new approach is not longer stridently fearful of spillover parking! Although the TDM plans may require non-exempt developments to avoid "placing an unreasonable burden on public infrastructure", providing on-site parking is only one possible response. On-street parking, off-site parking and shared parking arrangements are also mentioned as options. It seems clear that some spillover is considered acceptable and manageable. Furthermore, it would take a LOT of spillover to place an unreasonable burden on parking in many areas of Buffalo. Why? Because Buffalo has a LOT of parking! 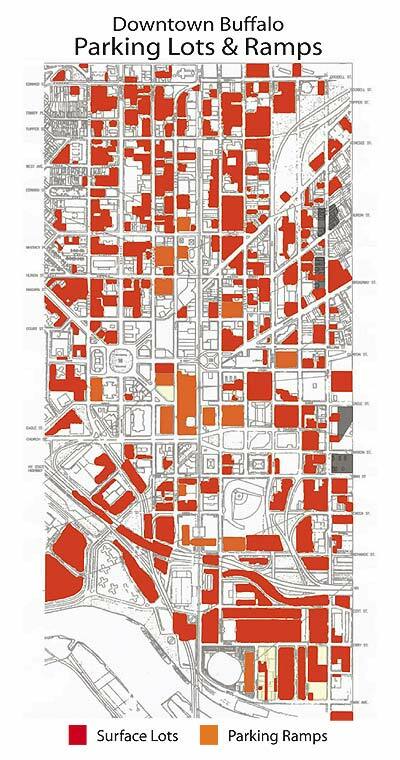 Here is parking in Downtown Buffalo as revealed by a 2003 study by local non-profit, the New Millennium Group. Map from Joe the Planner "Putting parking in its proper place"
My guess is that in the near term, new parking-lite developments with plentiful under-used off-street parking nearby will rarely be judged to be "placing an unreasonable burden" on local parking. This lack of fear of spillover is what makes Buffalo's parking reforms more radical than Victoria's. Victoria is sticking with the On-Site-Parking mindset, which insists that every single development site should be served by its own on-site private parking. Victoria's review of its parking requirements retains the usual abhorrence of spillover parking. It even explicitly rejects the idea of a shared parking program. By contrast, Buffalo has taken a decisive step towards embracing ‘Walkable Parking’ thinking in which parking facilities are assumed to usually serve their whole surrounding area, not just specific sites. Buffalo no longer assumes that all parking demand from each building must be met with on-site parking. The city is well on the way towards the mindset behind park-once-and-walk planning. Buffalo's parking reform is radical because it marks a drastic change in the parking policy mindset. Wait a minute! Doesn't Buffalo have way more ugly surface parking than Victoria? There are many historical reasons for Downtown Buffalo's existing parking surplus and its many parking craters. There are also various historical factors behind Victoria's much more intact downtown fabric and relative lack of surface parking. But this article is not about how well these cities did in the past. It is about today's reforms that will help shape the future. In summary, we can see in these cities two very different approaches to parking minimums reform. Victoria is taking aim only at the excessiveness of some of its minimum parking requirements but it is not questioning the idea of parking minimums themselves. Buffalo is abolishing its parking minimums and, despite retaining some ability to require parking in some cases, is well on the way to embracing a parking policy mindset in which parking minimums make no sense anyway. I don't want to seem too harsh on Victoria here. At least it is trying to do something about excessive parking minimums. Many cities around the world are still simply doing the wrong thing and rigidly (even ruthlessly) applying excessive minimum parking requirements! 1. plentiful parking AND 2. on-site parking. Successful reform should take aim at both! So, don’t just say “we need less parking” without challenging the On-Site-Parking mindset. Right-sized parking minimums are merely doing the wrong thing a little bit better. Do the right thing and abolish the parking minimums completely. Why not use mandatory minimums for the ALTERNATIVES: bike parking, people parking (seating), laybys for drop-offs/puck-up? Yes, promote car-parking sharing between adjacent uses by eliminating the "ancillary" parking rule. When will a Peter D. Norton write the social history of parking (he wrote "Fighting Traffic: The Dawn of the Motor Age in the American City"). We need to document the fear of city officials that a driver would arrive at a destination and not find a (free) parking space. Parking policy is meant to promote the same of private automobiles. Victoria was blessed with city planners in 1970's that: re-arranged streets to move traffic with less congestion downtown. (one -way streets, establishing connections from downtown to arterials heading away from downtown (Johnson Street, Fort Street), constructing a wide boulevard (Blanshard Street) from the city boundary to downtown through a re-use of abandoned rail ROWs) , building large public parking garages (5), and maintaining the grid pattern. Today those positive changes are being enhanced with dedicated bus and bike lanes which are proving extremely popular. The trade-offs include loss of parking on the streets that have bike lanes, reduction of capacity to move vehicles from downtown due to lane eradication, and loss of business to mostly local entrepreneurs that occupy those affected buildings (I'm expecting that Douglas Street from Fisgard to Mayfair will have trouble retaining retail businesses with the new bus lanes in place as there is limited on-site parking due to the existing building fabric). Victoria has a dearth of downtown attractions for visitors which must be addressed. The downtown core has, since the 1960,s suffered several periods of contraction. The next one will be caused by the growing homeless/criminal element. The nexus of support services (Our Place)for the unproductive members of society is causing a ripple effect where businesses are unable to operate due to the unwillingness of customers to walk in that area of downtown. A long established school moved to protect the children from (used needles, criminals, public drinking and defecation). If Victoria keeps its focus on providing for the unproductive members of society at the expense of those that pay the bills the result will be a relocation of many core businesses, and their customers to safer locations in the suburbs. I think that people buying the new condos being built all over downtown will soon tire of the lack of courtesy exhibited by the growing congregation of mentally ill, drug addicted, criminal, and plain lazy people that make up this class.